Concord Chiropractic has been providing pain relief and wellness services to Concord and surrounding towns including Acton, Bedford, Boston and Lexington, since 1982. Concord Chiropractic is located at 97 Lowell Road, a 5-minute walk from the historic Colonial Inn and Concord center. In addition to a rich history and over 30 years of experience, Dr. Kinsman and staff at Concord Chiropractic offer flexible scheduling, and in many cases, same-day appointments. John “Greg” Kinsman, DC is a third-generation chiropractor. Dr. Kinsman is a graduate of McGill University in Montreal, Canada, and the Canadian Memorial Chiropractic College in Toronto, a four-year post-graduate program that includes a year internship. He is a fully licensed chiropractic physician in the state of Massachusetts, where he founded Concord Chiropractic in 1982. As part of his ongoing professional development, Dr. Kinsman completes continuing education courses annually, keeping him up-to-date on the newest chiropractic methodologies and treatments. 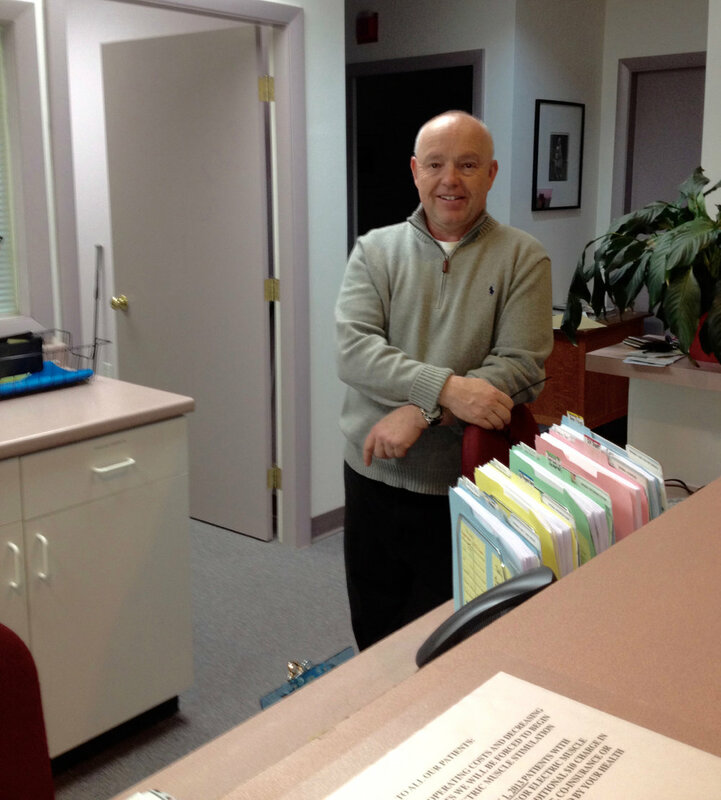 Dr. Kinsman, a long-time resident of Concord, Massachusetts, is an active member of the local professional community. He has been an avid wood-worker since college when he first discovered the arts and crafts movement, as well as the work of artists like Stickley, Webb and Van Erp. Dr. Kinsman is an ardent golfer who enjoys travel and spending time with his family, which includes his wife, two daughters, and rescue pups Lulu and Ollie. Laureen Glennon, Office Manager, joined the Concord Chiropractic team in November 2015 after moving to the area with her two sons. Laureen’s outgoing personality and concern for others helps to make each Concord Chiropractic patient feel like “family.” When she is not busy keeping the office running smoothly, she can be found at the rink or field watching her boys play hockey and lacrosse. Andrea Farrow, Office Assistant, also joined Concord Chiropractic in 2015 after spending the last several years as a full-time mom of three. Prior to that, Andrea worked in the computer industry. In her free time, she enjoys walking, baking, decorating and gardening. Michelle Perry-Kinsman acts as practice billing manager and has worked in that position for 15 years. She runs her own pet care and eldercare advocate business and fills in at Concord Chiropractic as necessary. Diane Bennos is a nationally certified licensed muscular therapist. She specializes in muscular therapy, craniosacral therapy, reflexology and pregnancy massage. Diane has been in practice for 19 years. She has helped many clients recover from injury, relieving pain, suffering and stress. Her hours are flexible. She can be reached for an appointment at 781-953-6586.